Samsung's new flagship just bristles with features. Some are undeniably innovative and useful - like the waterproofing and the camera - but the entire smartphone is let down by one of the heaviest, ugliest and most annoying Android overlays yet. The original Galaxy S was a rare case of getting everything right: speed, ease of use, beauty. For Samsung, the Galaxy S was where the magic first happened. Now, the company is trying to make some more with the Galaxy S5. Chrome, plastic and faux leather: these are the materials that make up Samsung’s premium smartphone. The Galaxy does feel special for a short while, but chrome has a habit of aging poorly, and over time you realise the premium texture of the Galaxy S5 is as fake as the faux leather back. Samsung has used the shiny paintjob, a patterned back and chrome to conceal the S5’s cumbersome body. The new smartphone is taller, thicker, wider and heavier than the Galaxy S4. The design trinkets hide the size most of the time, that is, until you slide it into your jean’s pocket. The Galaxy S5 is only ugly when compared to today’s range of flagship smartphones. Two weeks ago HTC released the One (M8); a smartphone forged from metal so beautiful that it doesn’t even need a coat of paint. Naked smartphones styled this way age better. Grab a nearby iPhone 5S and have a look for yourself. Other tricks up Samsung’s sleeve help the Galaxy S5 compete. Press the power button and the 5.1in SuperAMOLED screen infuses it with vibrance. The Full HD touchscreen leads the market in terms of clarity, colour and brightness. We anticipate a lot of people will forget about the Galaxy’s mediocre looks once the screen lights up. 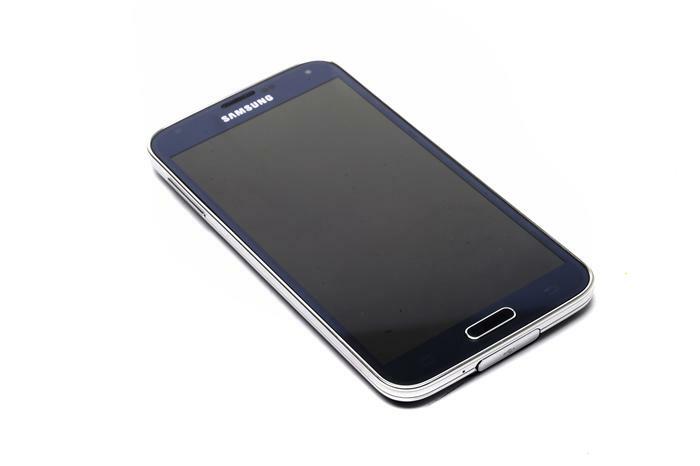 The Full HD touchscreen crams 432 pixels into each inch of the Galaxy’s 5.1 inch screen. The screen does dazzle, but most of the time its talents are wasted on displaying one of the worst Android overlays — definitely the worst from a big manufacturer. 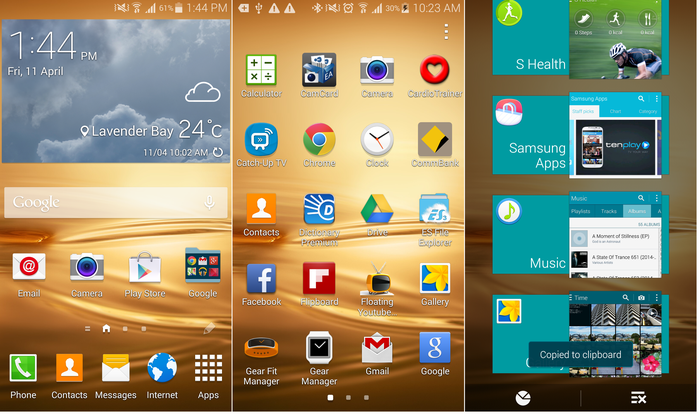 Using TouchWiz is like taking a walk down memory lane. Parts of it are recognisable from the 2012 Galaxy S3, others are brand-spanking new. Ultimately it doesn’t feel like one uniform operating system designed from the ground up for the Galaxy S5. It feels fractured. And it’s such a shame. 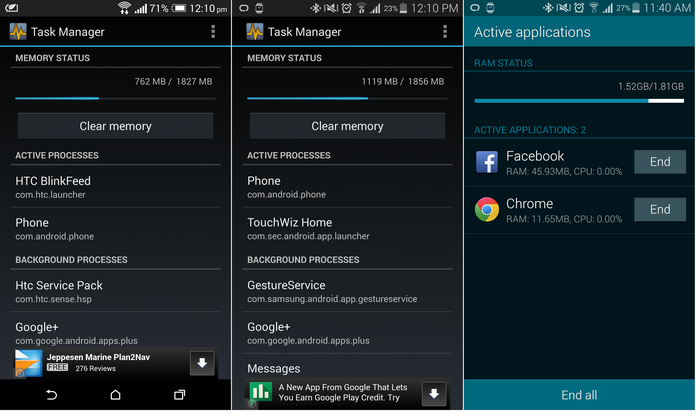 Some of the newer applications adhere to the aesthetic design instituted by Google. Some of TouchWiz is beautiful, but parts of it, like the antiquated dialler, are in dire need of an update. Click over for hardware, camera, waterproofing, unique features and the verdict.